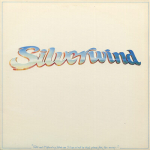 This is Silverwind's initial release. Although the Silverwind projects are not children's recordings, we have included them because Betsy and Georgian Banov wrote most of the Silverwind material (Betsy wrote the lyrics.) Frank usually wrote or co-wrote one or two songs on each project, i.e. I Will Bless The Lord and I Am on this CD.